Jonathan Wysong is a trumpeter and arts administration professional based in Louisville. In his 20-year career, he has performed at venues such as the Metropolitan Museum of Art and the Grand Ole Opry. He is Principal Trumpet of the Louisville Civic Orchestra, a member of Chamber Winds Louisville, and regularly freelances in the area. A specialist in Baroque trumpet, he has performed Handel’s Messiah and J.S. Bach’s Magnificat with Bourbon Baroque and works frequently with Kentucky Baroque Trumpets. In masterclass settings, Jon has performed for Clark Terry, Tom Hooten, Nikos Xanthoulis, and the Royal Philharmonic trumpet section. His trumpet teachers include the late Dr. Michael Tunnell, Dr. Erika Schafer, Shane Porter, Dr. Herb Koerselman, Friedemann Immer, and Kris Kwapis. In addition to performing, Jonathan is a Development Associate at St. Vincent de Paul Louisville, where he manages the donor database. He currently serves as the Vice President of the Louisville Civic Orchestra, advancing and preserving its 104-year history. Additionally, he is working on an arts-based transportation infrastructure project called ArtsTransport, which will increase arts participation throughout the year. 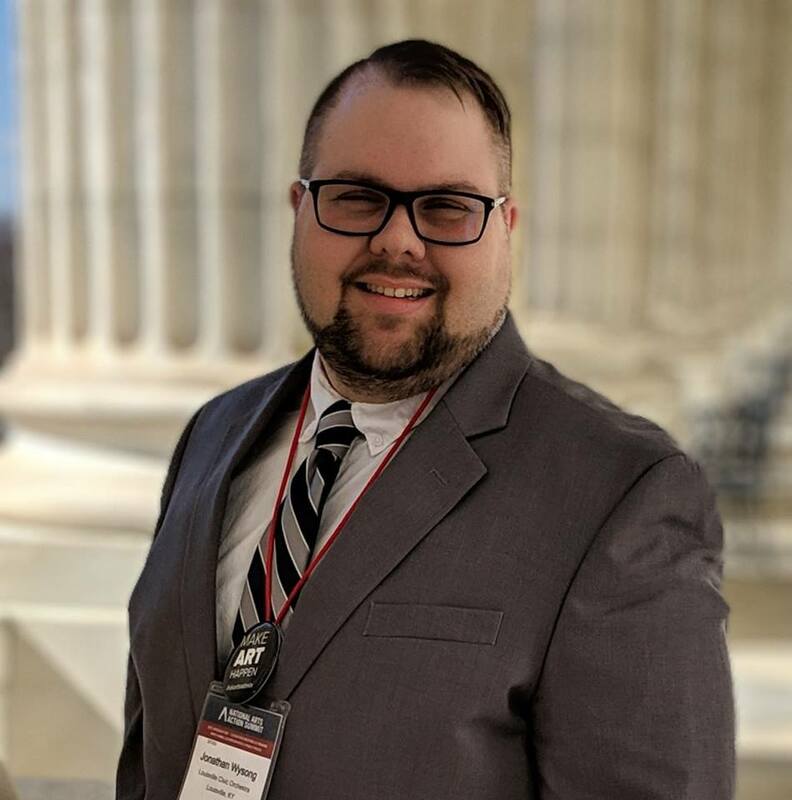 Most recently, Jonathan participated as a student advocate at the National Arts Action Summit, where he encouraged Kentucky-based federal legislators to support the arts by funding the NEA. Jonathan holds a Bachelor of Music in Education from the University of Tennessee at Chattanooga, a Master of Music in Trumpet Performance from the University of Louisville, and will soon hold a Master of Arts in Arts Administration from the University of Kentucky. Jonathan is a member with the Louisville Federation of Musicians, Association of Fundraising Professionals, Omicron Delta Kappa, Phi Mu Alpha Sinfonia, and Third Lutheran Church.